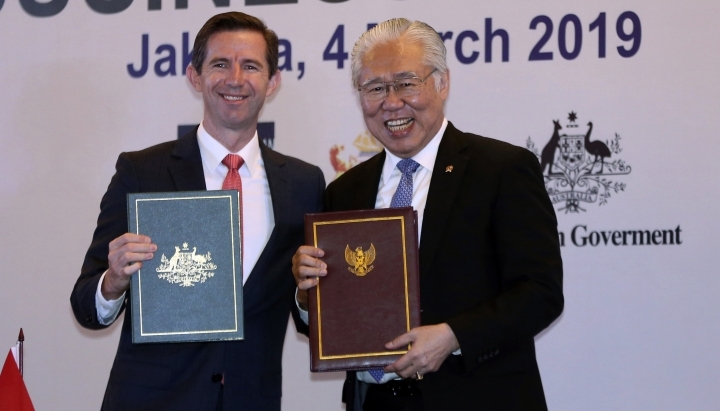 JAKARTA, Indonesia — Indonesia and Australia signed a free trade agreement Monday that will eliminate many tariffs, allow Australian-owned hospitals to operate in the giant Southeast Asian country and increase work visas for young Indonesians. 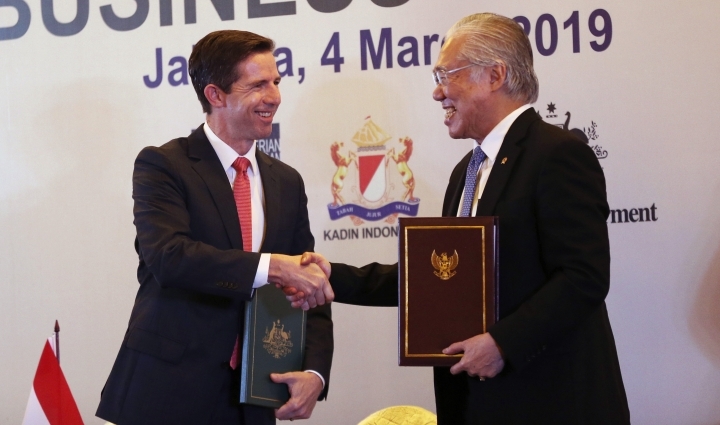 Annual trade between Australia and Indonesia in goods and services is valued at $11.6 billion. 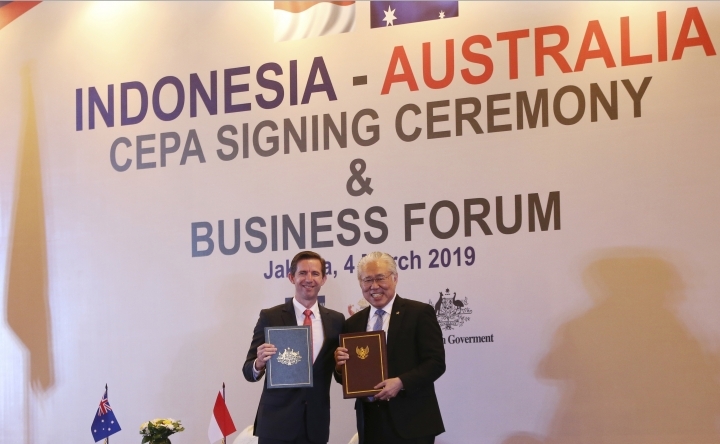 Though neighbors, their trade is relatively small, with Indonesia's exports to Australia just 1.5 percent of its total exports. Indonesia, with 260 million people, is forecast to be one of the world's biggest economies by 2030. 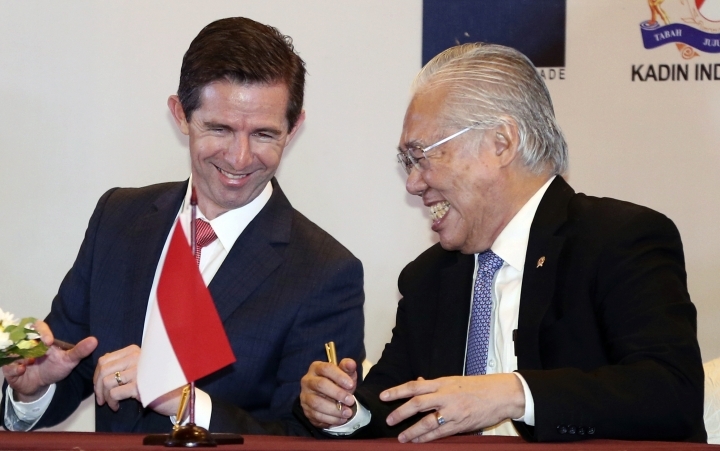 Australian Minister of Trade Simon Birmingham said the agreement "will take Australian and Indonesian relations to a new plane, one in which our economic and trade relations will be much deeper, stronger and richer for both our nations." Australia's live cattle exports are set to increase under the agreement, with tariffs to be eliminated and the number of animals exported to Indonesia allowed to increase 4 percent a year until reaching 700,000.